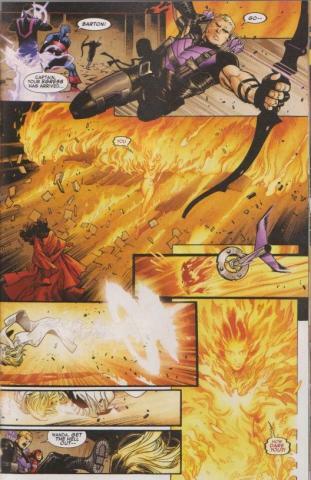 The Phoenix Team catches up to the Avengers. 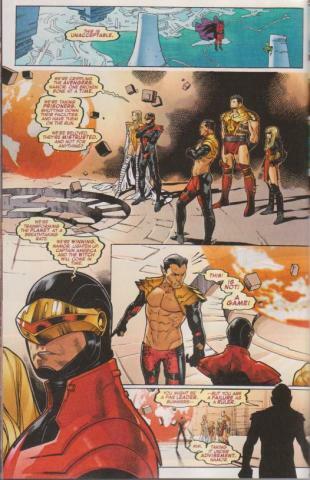 As Namor’s taste for war escalates, the Avengers get their first casualty. Things are moving quick, as The Avengers, with the help of the Scarlet Witch use misdirection to fool The Phoenix Team and Hope must journey to the mystical city of K’un Lun to prepare for the final conflict. Like the last issue, the story seems to be moving along smoothly and Olivier Coipel’s illustrations are a sight to be seen. Poor Hawkeye, he never seems to get a break does he? This series is way too long. Seems like this series has been going on forever, but still an enjoyable enough read to merit a 3 star rating. 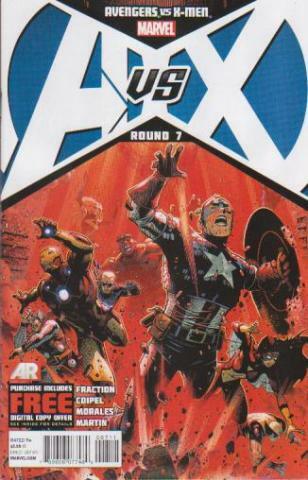 Written by Jason Aaron, Brian Michael Bendis, Ed Brubaker, Matt Fraction & Jonathan Hickman. From Marvel Comics.